Does this sound familiar? You’re combing the grocery store aisles, trying to make the best choices for your health. In addition to the litany of nutrition claims, you now increasingly find yourself lost in a sea of self proclaimed “greenness “; pictures of happy looking cows being hugged by friendly farmers, idyllic red barns and claims of free range, feel good messages touting how “natural” a product is, a dizzying array of seals and certifications staring back at you. With dozens of eco-labels competing for our attention on the shelves, which ones are worth your attention and which ones smack of greenwashing? I have heard the frustration of so many people who are trying to do the right thing, but utterly confused by all of the claims. So these are the 5 eco-labels you need to know so you can shop green with confidence. For starters, look for 3rd party certification, as it’s the “gold standard for green.” Accredited seals are more rigorous than any self-made claims by the company for several reasons; companies have to pay to participate, they must meet well defined criteria, and are subject to verification. Consumer Reports has a great piece on What Makes a Good Eco-Label. But one thing’s clear: ignore vague terms like “green” and “natural,” as they don’t tell you anything specific. USDA Certified Organic. Of all the seals, this is the MOST rigorous, as it’s a national program overseen by the USDA. Products with this label must be produced without the use of antibiotics, hormones, genetic engineering, radiation, or synthetic pesticides or fertilizers. If you see this label (see left) you can be sure that the product is at least 95% organic, if not 100% Organic. This is the best seal to prevent greenwashing in every aisle of the grocery store..
Where is it Most Important in My Cart? Your meat, poultry and dairy products should be organic; animals are what they eat, and even the President’s Cancer Panel last year encouraged consumers to choose organic meat and dairy products to reduce your risk of cancer. After that, the next area to buy organic is the Environmental Working Group’s Dirty Dozen List of Produce. The more you can buy organic, the more you will reduce your exposure to potentially harmful pesticides, herbicides, hormones and antibiotics in your food. But remember, highly processed junk food - even if it’s organic - is still junk food! Fair Trade Certified. This label ensures that a minimum price above market price was paid to the farmers for their products, and promotes sustainable agriculture as well. This mark is administered by the group TransFair USA, so make sure the mark is the original Fair Trade mark (see left), as some independent companies have started selling products with off-shoots of the seal, deeming products “fairly traded” or other similar deviations. Where is it Most Important in my Cart? Chocolate, tea, spices, and tropical fruits like mangoes , bananas and pineapple . This helps ensure that the world’s remaining rainforest and tropical forest areas (which both act like giant lungs for the earth and are a carbon sink), are responsibly managed- conventional products from these parts of the world can be some of the biggest carbon polluters in your cart. Another Good alternative in this category is Rainforest Alliance certified (see right). MSC Eco-Label. For all your fish, this is a must, as fish is one of the most important choices to include in a lean AND green diet. As the world’s leading certification and ecolabelling program for sustainable seafood, the Marine Stewardship Council (MSC) developed standards for sustainable fishing and seafood traceability. They ensure that MSC-labeled seafood comes from, and can be traced back to, a sustainable fishery. The label indicates that seafood with this mark comes from a fishery that is certified for its well-managed and sustainable fishery practices. Where is it Most Important in my Cart? All of your seafood and fish counter purchases. When dining out, insist on sustainable seafood as well. Green Seal. A non-profit organization that that identifies and certifies the most sustainably produced products in the marketplace. Designed to address a product’s total impact: from manufacturing to use to disposal. Where is it Most Important in my Cart? The non-food parts, including paper products like napkins and plates, paper towels, packaging, and wide range of household cleaners. 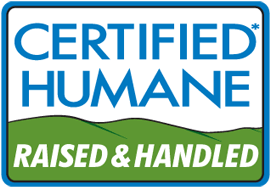 Certified Humane Raised & Handled. This seal will protect you from being duped in some of the most confusing areas of the supermarket-the meat and dairy aisles. For instance, did you know that “free range” on eggs means nothing, while on poultry it has a specific definition? I’m so grateful that animal welfare is a growing concern of the consumer (in fact, Oprah and her team recently went vegan for a week, and the topic was covered at length), and this is the most meaningful seal in the category. It ensures that animals are raised in a humane manner, with specific access to those great farm conditions we want to imagine, and are raised without hormones or antibiotics. Where is it Most Important in my Cart? Look for it on any dairy, lamb, beef, poultry and egg products. This list will help you start 2011 on the right foot, both for personal and planetary health. What labels do you live by when you shop? I’d love to hear from you!